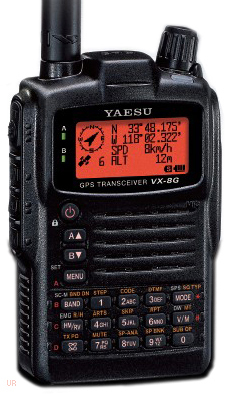 The Yaesu VX-8GR is the newest member of the proud VX-8 family. 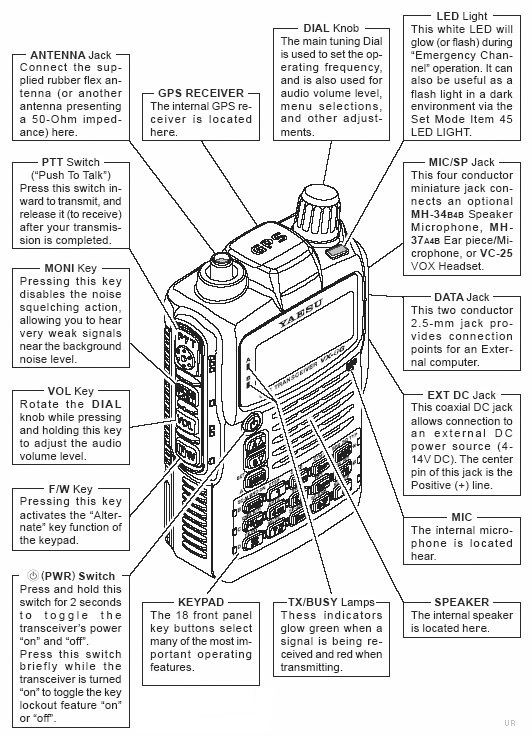 The VX-8GR dual-bander only covers 2 meters and 440 MHz and receive coverage is 108-999 MHz (less cellular frequencies). 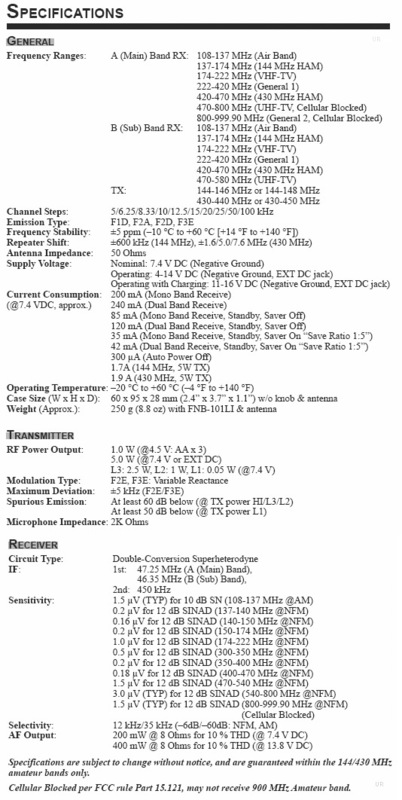 Strong performance specifications are combined with intuitive operation. This version has a built-in GPS unit right out of the box! 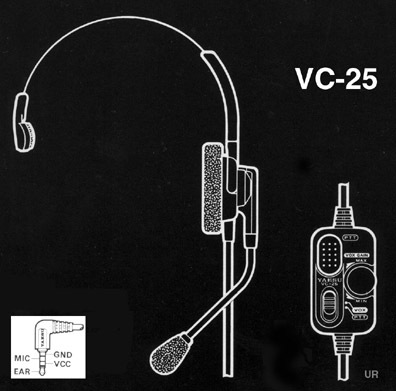 It is not Bluetooth capable. 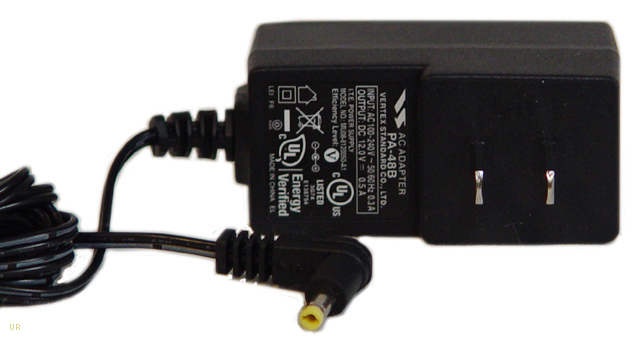 It is however APRS capable (B band only) with Smart Beaconing. 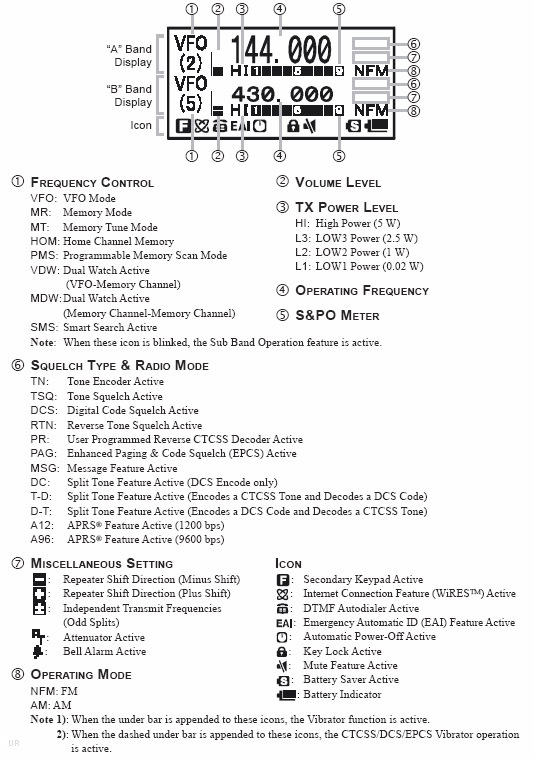 DCS/CTCSS encode/decode is included. 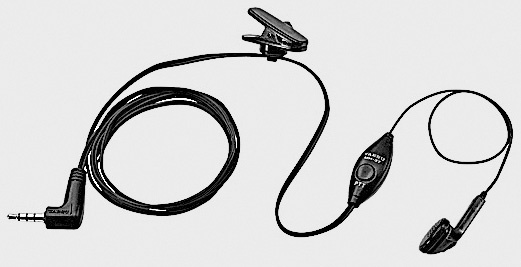 ADMS-VX 8G Programing software CD with USB-82 computer cable (USB to 2.5mm plug). For Windows: XP, Windows 7 [32/64], 8/8.1 [FULL] and 10. #6162 SDD-13 DC Cable with voltage regulation and cigarette lighter plug. plus a laminated Quick Reference card for your wallet.